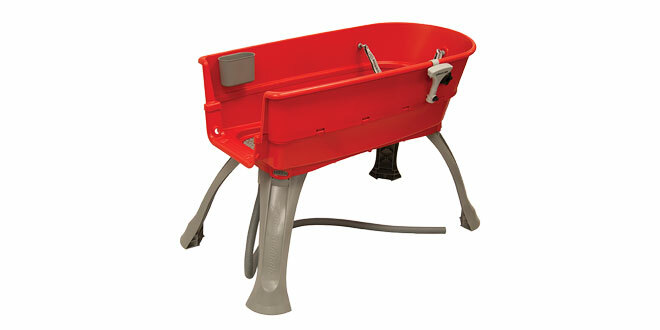 The Booster Bath® is a pet bath designed for home and light commercial use. It features a patented three-point harness to keep a pet stationary in the tub and has a U-shaped entry/exit area for the animal. A rubberized no-slip mat keeps the pet from slipping, and optional legs raise the tub to a higher level to ease the stress on the washer.